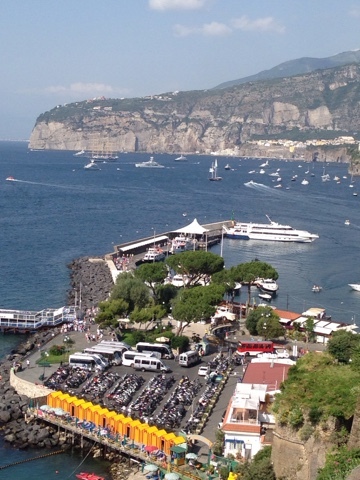 The trip to get us to Sorrento was arduous. A seven hour delay in Heathrow due to mechanical difficulties meant we didn't get to Rome until 11 pm last night. Then a four hour journey south today. But at last Lori and I here.